If I could choose one woman’s fashion style to emulate for the rest of my life it would be Audrey Hepburn. I am attracted to her simple yet classic style that seems to be timeless. I am not one to spend a lot of time thinking about my beauty routine or what I wear, so staying classic makes my life easy. In reality I know very little about Ms. Hepburn so when I saw the cover of the May issue of Vanity Fair in the airport on the way to New York last week I had to pick it up. 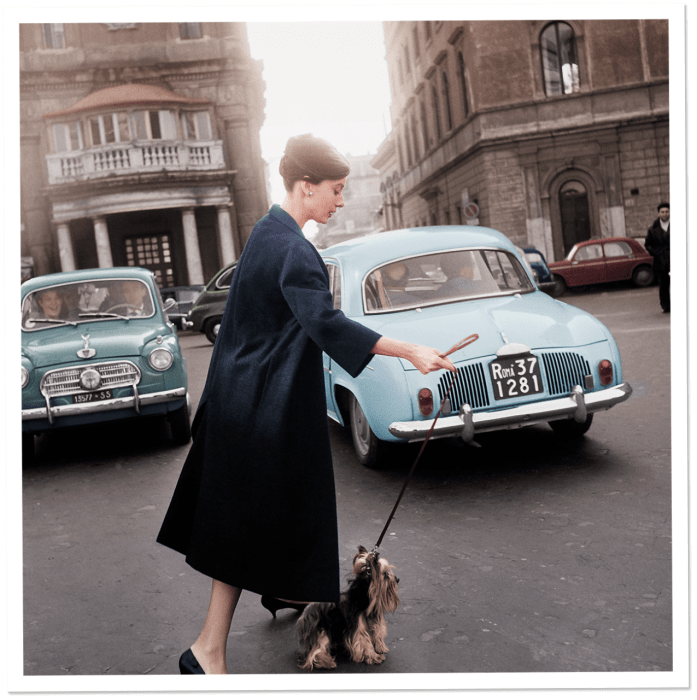 There was an piece on Audrey’s life in Rome and I was intrigued. It is no secret I am having a love affair with Paris, but I am also extremely fond of Rome. I have been there four times, each time for just a few days which is exactly enough time to stay in love! The Italians like the French approach life in a similar fashion, love of life and good food, but the Italians are far more happier in the process than the French (in my opinion at least!). Rome was my favorite part of Eat Pray Love which still remains a favorite [book] of mine. Sure she got the guy while in Bali, but she first connected with finding her happiness and enjoying life in Rome. With Mr. Misadventures we never had a plan when we went to Rome and I think that is what made it so magical. We just wandered and became part of the fabric untethered and unbothered. Apparently that was what Rome offered Audrey Hepburn as well. 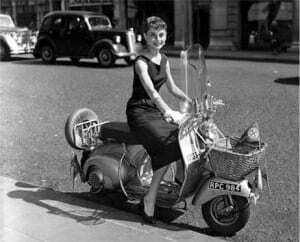 She came to film a few movies, including Roman Holiday. It was a time when a lot of movies were being made in Italy. It was at the height of her career and it was during a transition in her personal life. In Rome she could walk the city unfettered and it became a sanctuary for her. Photo credit: Reporters Associati. digital colorization by Lorna Clark. It is a part of her life that I was unaware of. She married an Italian, had children while living there and built a life outside of Hollywood. I find it fascinating. Photo credit: Archivio Storico Luce; Digital Colorization by Lorna Clark. I was supposed to go back to Rome last autumn, but Mr. Misadventures started a new job and we had to postpone our trip. 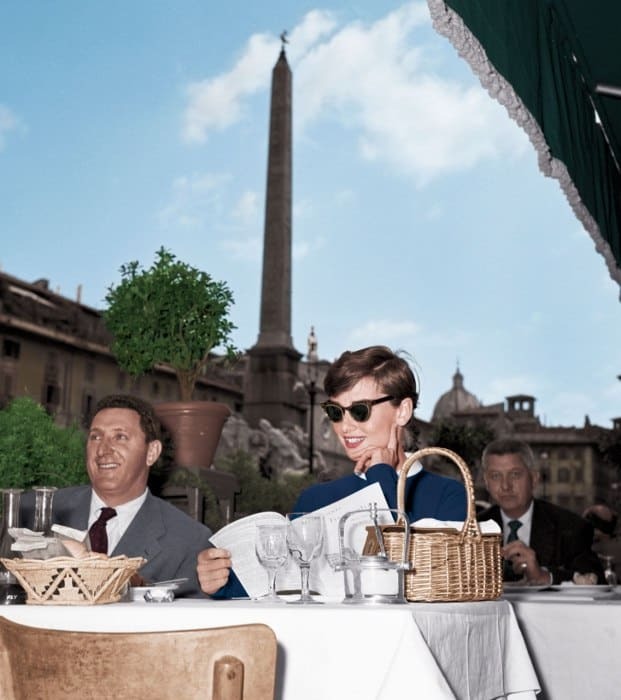 I am looking forward to going back again, but this time with an eye on seeing Rome in Audrey Hepburn’s eyes. I plan on doing more research now that I have gotten a peek into what her life was like there. If you are a fan, I recommend picking up a copy of the May edition of Vanity Fair. 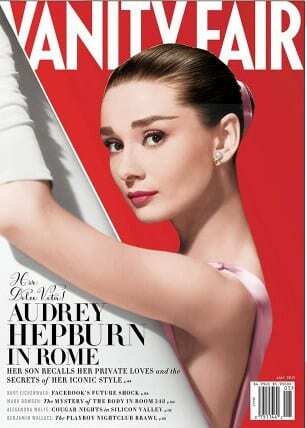 You can also see a series of photos of her fashion style while in Rome on the Vanity Fair site. If nothing else, it will certainly make you want to watch an Audrey Hepburn marathon! One of my favorite “Roman” bloggers is Katie Parla of Parla Food. 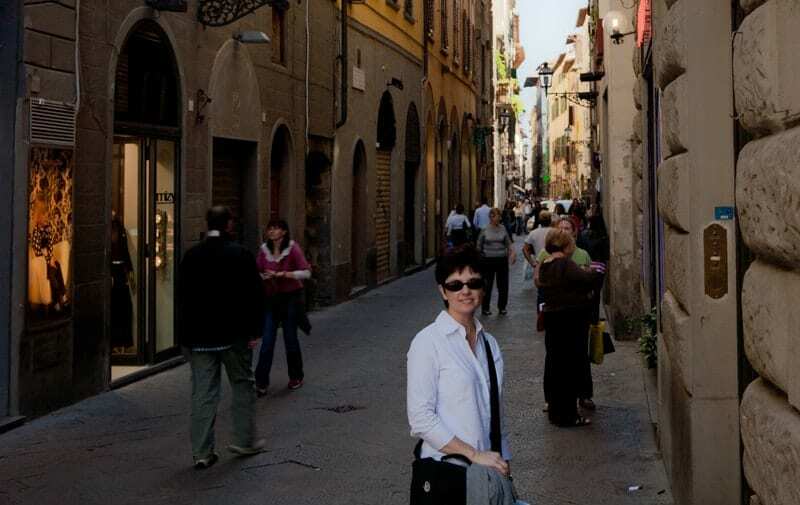 She has been living in Rome for the last 10 years and eats her way through her adopted town with much enthusiasm! I am thrilled that she recently became an AFAR Ambassador and her Highlights have sparked the creation of a new Wanderlist dedicated to gelato in Rome! As always I have my eye on the food and there are several tours that I would love to do. Katie does tours, as well as the amazing Context Travel, and I like the ones that Never Ending Voyage blogged about when the ate their way through Italy! So many great choices. Audrey’s life in Rome has re-sparked my interest in discovering more and I look forward to visiting again with a fresh perspective. How about you? Have you been to Rome? Have some thoughts? These photos of Audrey are just gorgeous…but the one of you is even more so! Context Travel is something I have my eye on doing as well next time I go. It was the first European destination I visited and as a result I was overwhelmed by the size of it. I ended up liking Rome the least of all the places I visited. I intend to give it a second chance being a better traveler and a bit wiser. @Murissa, I HIGHLY recommend Context Teavel they are amazing! Loved this and thank you for sharing. Rome is one of my all time favorite places in the world. We stayed a few days on our honeymoon in 2008. I’ve been fascinated with all things Italia since I was a child. I would LOVE to work and live in Rome. I enjoyed your blog post and will check into that Vanity Fair issue. Thanks. @Carol, thanks! I love Rome too it is a very special place. Love! I want to go to Rome so badly! @Meagan, it is a wonderful city, I hope you get there! I have never been to Rome (never been anwhere outside of the U.S/Mexico). But, I would love to travel there someday. Audrey Hepburn is such a classic beauty. I’m afraid I do not know much about her, either. I’ve been to Rome and LOVED it. Such a great city! Hope to make it back again sometime. I’m a big fan of Audrey Hepburn’s style too…. have always been meaning to watch Roman Holiday!